Edwyn, as you know is a Welsh Terrier, and comes from a lovely lady, Lesley Hood-Bourton, in North Wales (after an extensive interview for suitability I might add….) so we have to mark St David’s Day in one way or another. We have a lovely bunch of British daffodils by our desk, and Edwyn had a great run on Hackney Marshes, followed by a Lilly’s Kitchen lamb hotpot breakfast, but unfortunately he does not own this rather splendid Welsh Collar by Holly and Lil.….. unlike his pal Dooley, seen here wearing his at the Chiswick Dog Show last year….. I shall have to put that right! It is rather nice…..fantastic quality too! 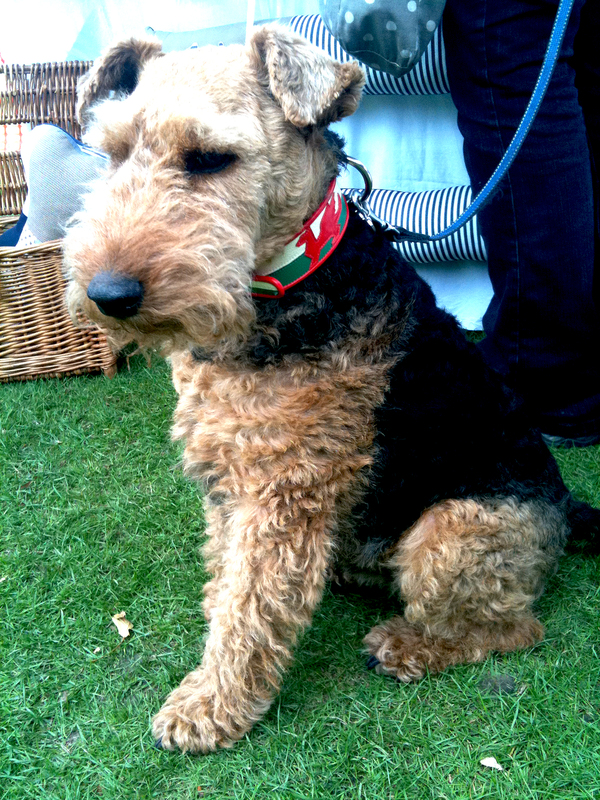 That’s a picture of Edwyn’s friend Dooley, who has the best collar collection ever – Edwyn is a little jealous….